Port & Company Drawstring Bag acts as the perfect cinch to carry your gear as a backpack! Customize yours today with your funny design, name or school mascot for a one-of-a-kind look! Ceiling. Roof. GOAT. These three words carry so much weight and have inspired many across the country! 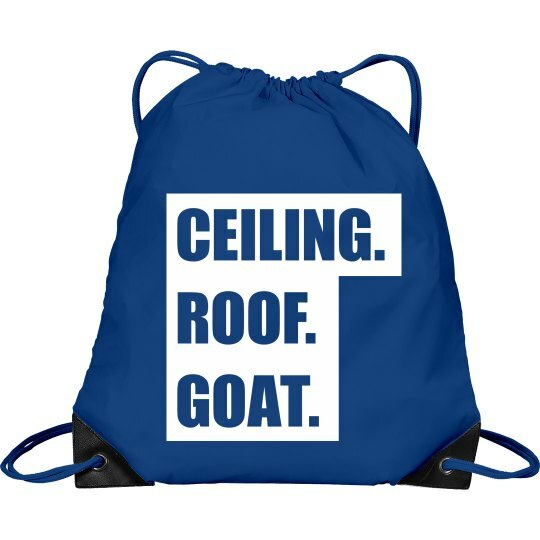 Get your very own athletic drawstring bag to take to all of your favorite sporting events.